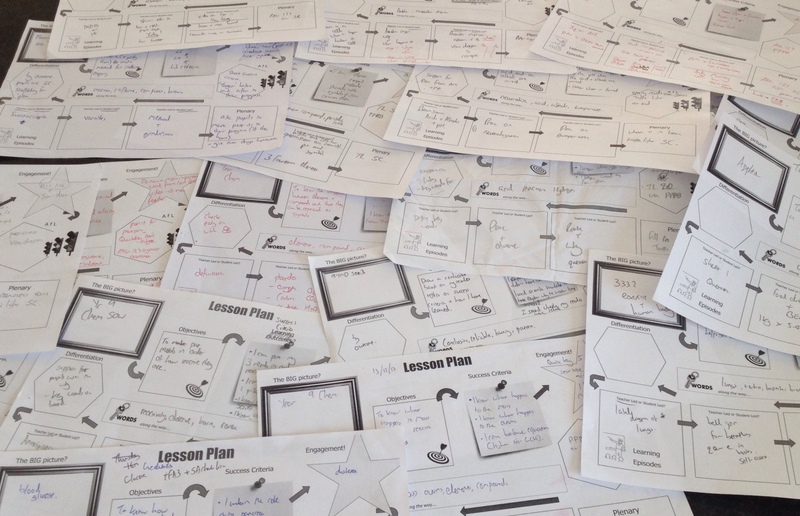 Reflecting on teaching in 2013-14 (the routine) – what went well, what needs to be improved? My reasons for writing this blog are purely selfish. At the start of the Summer holidays Harry Fletcher-Wood (@HarryFletcherWood) posted this blog where he reflected on his teaching over the academic year, looking at what went well, what didn’t go so well and possible tweaks for the next year. I thought that the blog was an excellent idea in terms of pausing to reflect (as this is something we rarely get time to do during the school year) and to see what I’m doing well and what I can improve on. I have been teaching for 15 years. I hope that I show in the classroom that I have 15 years of experience in every interaction I have with the learners. I have always prided myself in being a good teacher. However in recent years I think my classroom practice has been a little “samey”. I was comfortable with what I was doing and what I was asking my learners to do. Results were sound so why look to develop further? Since joining my new school (2 years here now) I have found being part of a new department has helped to reinvigorate my teaching. It has been a joy to go from Head of Science to just one of the team. A key part of all our departmental meetings is sharing ideas and best practice. Over the last 12 months I have also found Twitter has been fantastic in terms of picking up new ideas. These factors have certainly impacted on the way that I teach (and crucially reflect on how I teach). The third is the 5 minute lesson plan by @TeacherToolkit. I find it laughable that the 5 minute lesson plan gets derided for suggesting you can plan a lesson in 5 minutes. If I had to teach a History lesson on the Battle of Hastings tomorrow then it would clearly take me a lot longer to plan than 5 minutes. However, for a teacher that has taught it for 20 years they might write nothing more on their planner than “Battle of Hastings” which is fine of course as long as their experience is used to deliver that lesson effectively (it’s all well and good to say that a lesson takes 20 years to plan but that doesn’t help much if you’re teaching 23 lessons next week!!) What makes the 5 minute lesson plan so effective (for me) is that it acts as a checklist for the delivery of that lesson for your specific class. This is why (with a well written, operative scheme of work) the lesson can be planned in a relatively short amount of time. My 5 minute plan is tweaked slightly to include the lesson aim and the associated learning outcomes. Now that I had established what I wanted the pupils to learn I could then think about what (myself and of course the pupils) we would be actually doing in the lesson to achieve the outcomes. In many cases the teaching resources and task/tasks set out in the scheme of work (and shared centrally) would enable pupils to achieve the outcomes. If they didn’t I would need to add in an extra task. This is usually as simple as doing for example “comparison alley” for an outcome like to compare and contrast Aerobic and Anaerobic Respiration. Following Twitter colleagues such as Dan Brinton (@dan_brinton), Stephen Tierney (@LeadingLearner) and Andy Day (@Andyphilipday) convinced me to use SOLO to structure my intended pupil learning outcomes. It has definitely impacted positively on my practice. My introduction to SOLO is talked about here. The rest of the 5 min plan is then filled in with my specific class in mind. Towards the end of the year I started to focus on slightly “underplanning” the lesson so any spare time at the end could be filled with low stakes tests that recall knowledge from last lesson/week/month. This was a useful exercise in trying to limit forgetting of some of the key concepts (but was very ad-hoc in its delivery). At the start of the lesson pupils have their books returned and look at the RAG123 rating that I gave them for last lesson. They also read any feedback I have given and engage with it if necessary. My KS3 classes then work on a “do now” whilst I take the register. Here is the document I use for my do now tasks and I rotate them. One area I want to develop next year is to better tie in the do now with any issues that I might have picked up during book marking (RAG123). After the do now is complete and discussed the aims and learning outcomes are shared with pupils. As far as possible these are left on the board or put back up when pupils are working. The lesson then proceeds along the lines of the plan. Because I started the planning process with the outcomes rather than the tasks, any task/tasks that I plan will be matched to the outcomes (not necessarily 3 tasks for the 3 outcomes of course). This also means that tasks will lend themselves to peer and self-assessment (which in turn help pupils judge their “learning/understanding” against the outcomes). Towards the end of the lesson the learning outcomes are shared with pupils. They give themselves a RAG123 rating against the learning outcomes. @ListerKev is the “father” of RAG123 marking and I started using it in January (read about Kev Lister’s RAG123 here). From January onwards pupils took to RAG123 extremely well. Once they have given their ratings then the books are handed in. The TAs that are in with my Year 9 group have also helped with the pupils awarding themselves their RAG rating. 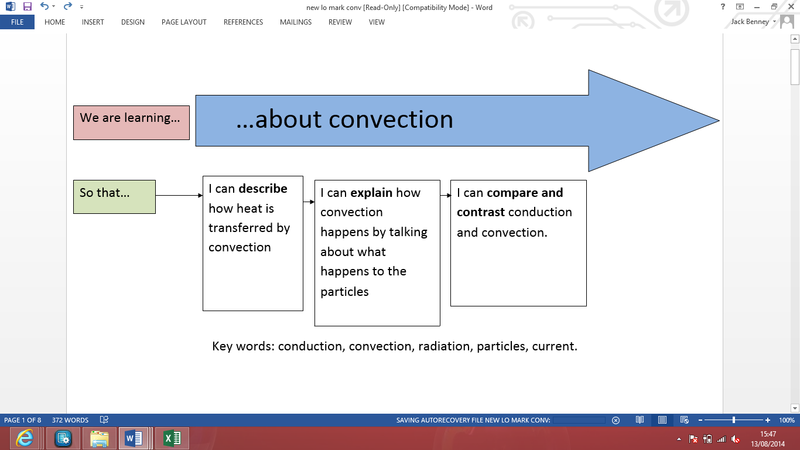 I will often hear them ask the pupil they are working with something like “so what are the differences between conduction and convection? – once the pupil explains “well you are a G then”. I decided not to share this with the pupils. If I was making their (or mine) RAG rating public they would feel under pressure in subsequent lessons to put a G even if they didn’t feel their learning deserved one. By keeping their RAG rating private between themselves and me it led to a better sense of trust and pupils being more honest. The key to the routine is the RAG123 marking which means I get to see the book of every learner every lesson. The insight it gives into their learning is invaluable. In terms of AfL it is unbeatable. The marking routine is simple. Their work is reviewed (I will usually decide which areas I will give particular attention to) and then I give my own RAG123 rating. This can then be accompanied by a short comment or a question. In my original blog on RAG123 (here) I extolled the virtues of this type of marking so I won’t repeat them all again. Once the books are all marked (and this can take between 8 and 15 minutes) it then informs the planning for the next lesson. Some key principles might need to be revisited or a specific concept might need to be retaught before moving on. Marking really is planning. Not a single lesson is planned without me knowing their prior knowledge in detail. So what else has gone well in 2014? I have used QuickKey scanning tokens as exit tickets a number of times with one of the questions being designed as a hinge question (for more on this read here). This has been a great way to spot check the quality of pupil self assessment in terms of RAG123 as well as giving me further insight into what and how they are thinking . I am looking forward to designing occasional hinge questions (using QuickKey to scan) with the Year 9 Maths class I am teaching next year (there may even be a blog in it). 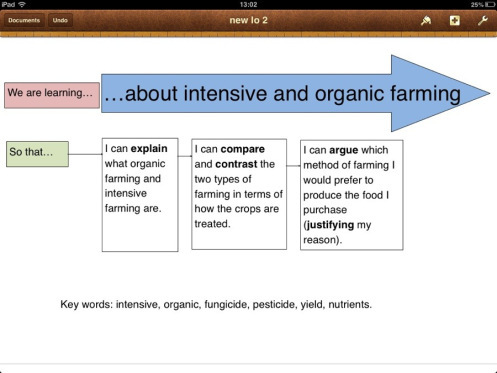 Combining DIRT with Marking with Symbols (see halfway down this blog). This has been a huge time saver when marking assessments as well as ensuring learners actually engage with my marking. Plenaries. 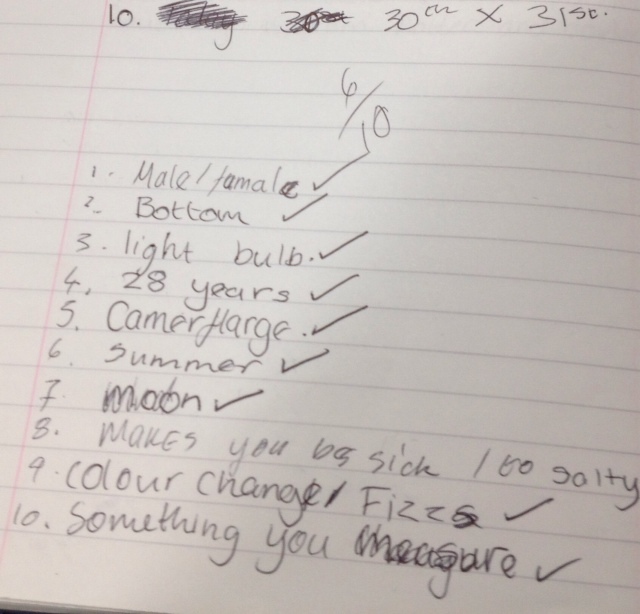 This was picked up in a lesson observation by my HOD. At the end of the lesson I would share the learning outcomes with pupils, they would RAG123 and then the books would come in. I was deliberately not going through the learning outcomes at the end of the lesson because I wanted pupils to assess honestly and not just put down G because I had just that second gone over the learning outcomes. However, I was missing an opportunity to give a meaningful plenary with questions and/or discussions. Next year I am going to ask pupils to RAG123 as normal, close their books and then have a plenary where the learning/understanding can be reinforced/consolidated. Questioning. During my teacher training I was picked up in a lesson observation for jumping in and finishing the learner’s answer to a question. Shamefully, this is something that I still do. Working on wait time, not diving in and increasing the range of questioning techniques that I undertake are major areas for me to develop next year. The do now. One area I know I can improve is to put more thought into the do now task that pupils do at the start of the lesson. I think I need to move away from a handful of generic activities to more specific tasks based on what I have seen the night before when marking their books (when a common issue is identified or just an extension or revision of the previous learning). 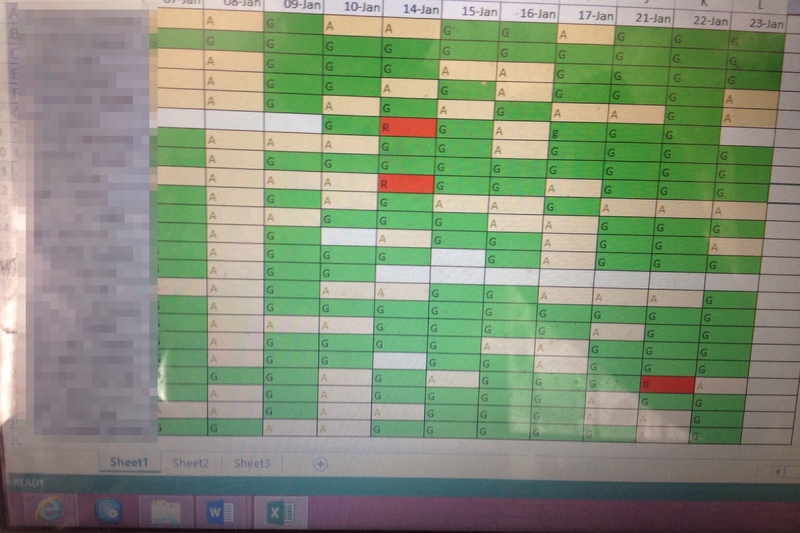 Better planning of regular tests to review learning of work from last lesson, last week and last month. 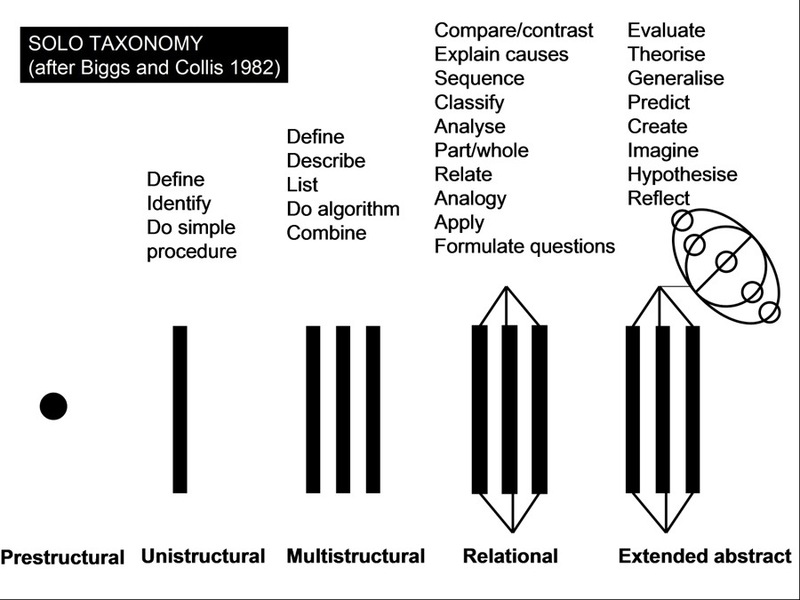 This post by Dan Brinton has lots of great ideas on using cognitive science in T&L as does this by @davidfawcett27. Further tweak the 5 minute lesson plan so it is even quicker to fill in. I need to give this some thought though because I want to combine the best of the 5 minute marking plan and the checklists used by @HarryFletcherWood. I want to get the marking of a set of books and the planning of the subsequent lesson down to around 15 minutes (on average). This means that for any teacher, a set of four books can be marked and the following lesson can be planned in an hour. This means that after staying on in school for an hour there is no need to take any work home. This sounds a better work-life balance than taking stacks of work home- particularly on a Sunday afternoon). I would welcome any suggestions on how this could be improved further. Thanks for reading. Lots to soak up here… Will re-visit and read before 1st Sept. Thanks for commenting Ross. Much appreciated. Great that you’ve spent so much time and thought on this, Damian, and I’m sure it will have been a very useful and productive exercise. Hope it helped you to feel pleased with how your practice has moved on this year, though I know there’s always plenty still to do! Thanks for taking the time to read and comment Jill. I enjoyed the process of just reflecting on what I do as a routine and whether it can be improved. I’m already tweaking for next year and will hopefully further refine/evolve what I do with my new classes as the new term progresses. I have been marking everyday since the start of the summer term 2014 using RAG123 and feel like a born again marker! A year ago I would have said that I knew my students. Rubbish. Now I do. Also feedback is given through symbols for students to act on. Is there a way using either quick key or another scanning method to transfer these grades in to a spread sheet? Our school is going down the PiXL route and want data on everything. Thanks for taking the time to read and comment. This response has been on my to do list for a while. I would urge caution on recording pupils RAG ratings for learning (or 123s depending on which you use). My pupils are happy to put down A for learning and they write down the reason knowing I will read it and help them (either through a comment or a task/verbal feedback next lesson). I think if pupils knew I formally recorded their RAG ratings they would be far less likely to put As and Rs down for learning. On occasions the difference between an A and a G will be in the minds of the pupils rather than explicitly laid out in their work. This is why their honest reflection is so important. This is just what I think of course. Please let me know if you try it and it is successful. I agree about students sometimes putting a better RAG for an easier life. Mind you this is easily spotted especially with students marking work with green pen in the lesson. One of the keys to recording daily RAG is trust and letting students know that it is for their revision. It is not a stick, but I use it for the students themselves. By printing out individual RAGs students can easily identify areas that need more work on for revision and lessons that they have missed. This is important due to the science terminal examinations at the end of a two year course. The formative feedback at the start of the next lesson is also invaluable. Working in a school that has varied marking across departments students and parents have commented on the daily marking in a very positive way. One student said yesterday that the daily marking shows that I care about her education compared to some subjects that have marked her book only once since September! Basically what I would like to say is I am glad I stumbled across your trial as it has transformed my marking for the good. I assumed your collection of RAG was for summative purposes. I can see how useful the printed list would be for students. And because they benefit it pays them to self assess honestly- spot on. Your system sounds like it’s really working. Keep up the good work. The comment from the student says it all. « What is good teaching? Following it up.